Could oil and natural gas prices be at a permanently high level? The exchange traded fund for oil, United States Oil (NYSE: USO), and for natural gas, United States Natural Gas (NYSE: UNG), are both up for the week, month, quarter, six months, and year of trading. 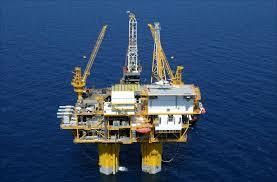 For 2014, United States Natural Gas has risen more than 20 percent. Energy entities ranging from Royal Dutch Shell (RDS-B), the biggest in Europe (chart below), to Mondial Ventures (OTC: MNVN), look to be promising. So does the future for oil and natural gas assets. Oil is the most widely used fuel source in the world. WIthout question, natural gas is the most promising. The crisis in Crimea and the Ukraine has Europe looking to increase natural gas production. China is sitting on the world’s largest reserves of natural gas. Due to the appeal of natural gas as an energy source, production will increase. There are no viable alternatives to oil and natural gas, either. Coal is too dirty. Even China, the world’s largest consumer of coal, is moving away from using it. Energy forms such as sun, wind, water, and others are not even close to being ready to use on a wide scale. That is not going to change anytime soon, either. In addition to demand, oil and natural gas now appeal to speculators. Oil and natural gas assets are now being bought as safe haven holdings. In a world of turmoil, investors see natural gas and oil interests as being better than gold for a variety of factors. A major one is the depth of the markets for oil and natural gas. There is a great deal of liquidity, which is needed to accommodate the investment capital looking for a holding. If all of it went into gold, the price would soar, creating a bubble.